It amazes me that when people dine out or cook at home they are concerned about pairing the proper wine with what they are eating. They even go so far at wine dinners to pair each course with a different wine. Is cheese not a food product? Somehow, most people just think when they have guests over their homes they can just throw out a “Cheese Platter” and serve any wine, usually one red and one white. I was proud of Wine Spectator Magazine for writing an article a few months back called “100 Cheeses for 100 Wines”. They literally took 100 different cheeses and tried and tested each one with several different wines until they found the “One Wine for One Cheese”. For example when it came to the “King Of All Cheeses”, Parmigiano-Reggiano, most would think it’s time to bring out the Chianti or Brunello di Montalcinos….WRONG!. Parmigiano-Reggiano is such a sharp, salty, tangy cheese, the only wine they could find that matches perfectly was Madiera due to the sweetness offsetting the sharp flavors. I totally agree with them. 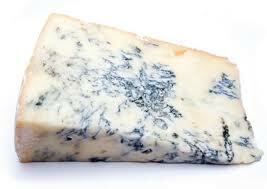 The first time you will agree with me and Wine Spectator is the first time you put out any strong blue cheeses like gorgonzola piccante for example and you try to put it with a bold red wine because you thought bold Italian cheese goes with bold Italian wines. The mold in a blue cheese from any origin will so overpower any red or white wine that the together will create mud in your mouth. The only wines that pair with such strong flavors are sauternes, icewines, or late harvest wines and ports. The British love Ports with their blue Stilton cheeses. These 2 cheeses Brie and Camembert may fall into the same category of cheeses (Soft,Bloomy Rind Cheeses) and look alike but they are 100% opposite in flavors. Brie, whether it is Double Creme or Triple Creme is a buttery, rich and soft creamy cheese. My wine pairing would be anywhere from a White Burgundy to a fruit forward Pinot Blanc or maybe a good Rose Champagne or Sparkling Wine. 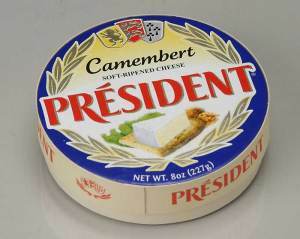 On the other hand, Camembert is known for it’s strong aromas and flavors of Truffles and Earth that even Stevie Wonder could smell the difference between the 2 cheeses side by side. With that in mind, my wine pairing for Camembert would be totally opposite than my selections for Brie and I would go with a very fruity, light red like Beaujolais or Primitivo (Red Zins) or a slightly sweet white like Rieslings, Gewurtzraminers or a nice Demi-Sec Vouvray (Chenin Blanc). So next time you grab a pile of grapes, a platter and some Carr Water Crackers and throw some cheeses on a platter to serve to some friends, I welcome you to write to me but at the very least think twice before popping open a pinot grigio and a cabernet remembering the words “One Wine, One Cheese” or learn the hard lesson on your own and toast “Here’s Mud In Your Mouth”! PreviousTo Aerate Or Not To Aerate Your Wine? NextI Admit It. I’m An Oregon Pinotphile!